Anytime you incorporate a new furry friend into your family, the first time they experience any holiday is bound to be an exciting time — and Halloween is no exception! Halloween is usually a great experience for our first-time pets. They get to try on their very first costume, say hello to the trick-or-treaters that stop by our homes, get special, holiday-themed treats and simply partake in on all the fun we experience this time spoooky time of year. Don’t forget to properly prepare at our pet market in Palm Harbor. At Royal Pets Market & Resort, we have an array of pet services for you to choose from. From our large pet market to our veterinary and grooming services, we strive to be your one-stop shop for all things related to your pets. Visit our Palm Harbor location today to browse our Halloween goodies! 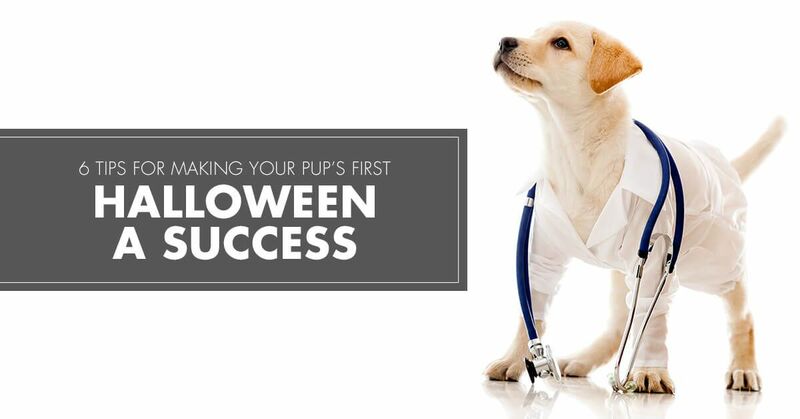 In this blog post, we’ll go over six tips you should keep in mind to make this first Halloween for your pup a success. 1. Find a costume with the ultimate “awww” factor. What’s the absolute best part about adding a new pup to your family? Dressing them up in ridiculous costumes (if they’re OK and comfortable with it, of course). You can find costumes in our pet market, or if you’re feeling especially crafting, you can design your own. Whether you opt for goofy or spooky, you want to consider the safety of your dog when they’re in their costume. You should avoid any costumes that have potential choking hazards on them (for example, buttons, gemstones, etc.). 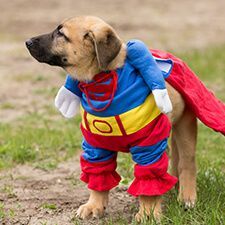 You should also eliminate any costumes with loose parts that your dog may chew on or eat, or that they may get entangled in when they are playing. Costumes are, of course, supposed to be absolutely adorable, but please always put your pet’s safety first. And also keep this in mind: if your dog just isn’t having it with their costume, don’t force it on them. There’s always next year! 2. Be careful with Halloween decorations. We get it — one of the best parts about Halloween is dusting off your holiday decoration boxes that have been collecting in your basement and putting up your favorite string lights, pumpkin centerpieces and spooky glow-in-the-dark skeleton props. But keep an eye on your pet, as some decorations are more potentially harmful than others for our dogs. According to the American Society for the Prevention of Cruelty to Animals, wires and lit Jack-O-Lanterns are the most dangerous items we put out at Halloween for our pets. 3. Exercise your furry friend earlier in the day. Avoid over-stimulating your pup in the masses of trick-or-treating crowds and take your dog on a walk or to your local dog park earlier in the day. We recommend doing this while it’s still light outside to ensure Fido doesn’t get ahold of any candy wrappers or get frightened by particularly scary costumes. 4. Don’t let your pup get ahold of any candy. Sure, we love loading up on mini Snickers bars and chewy candy corn this time of year, but those goodies for us are not goody for our pups. Chocolate, raisins, nuts, xylitol and other ingredients that make our treats so good for us can be deadly for our dogs. Just be aware of where any candy is in your home, and make sure it is out of reach for your furry family member. You can find dog-approved treats in our Palm Harbor pet market. 5. Answer your door with your pup in mind. Since it’s a common tradition for you to constantly open your door on Halloween night for your trick-or-treating guests, or to even just leave your door open, be wary of where your pup is at all times. If your pup is usually nervous around new guests, it might be best if you leave your furry friend in a safe room or kennel for the night in order to not overwhelm them. Give them some time to adjust to their new home and they’ll be ready by next Halloween — we’re sure of it! Halloween is a naturally fun and enjoyable holiday that most of us love partaking in every year when fall rolls around. Make it fun for your dog, too! Load up on all the Halloween treats and toys you can, and make sure your puppy is safe and comfortable throughout your festivities. And don’t forget — take lots of pictures! They won’t stay small forever. 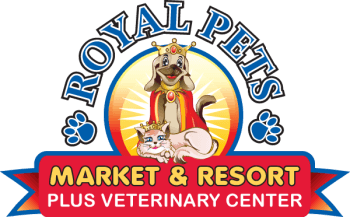 If you’re looking for a trusted pet market in Palm Harbor that is offering special goodies for this Halloween holiday, look no further than Royal Pets Market & Resort. We have a wide selection of pupper products for you to choose from that we’re sure you, your furry family member and your guest trick-or-treaters will love! Visit our pet market in Palm Harbor today and properly get ready for the Halloween holiday. If you have any questions, don’t hesitate to reach out to our Palm Harbor team by calling us at (727) 269-5344.